Password Safe Pro's Password Generator allows the creation of random secure passwords that are extremely difficult to be obtained by potential hackers. This is due to passwords containing the combination of lower/upper case letters, symbols and numbers. Hint: A password including numbers, symbols, and mixed case alpha characters will generate a secure password. This will allow the password to be exponentially harder to obtain by potential hackers. 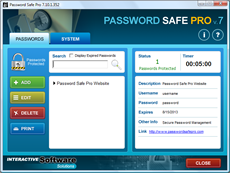 NOTE: The Password Safe Pro Software includes a password generator for increased security and protection. Please complete the form below to generate safe - secure passwords. A secure password is not easily memorized or remembered. Secure passwords are the first line of defense against identity theft. 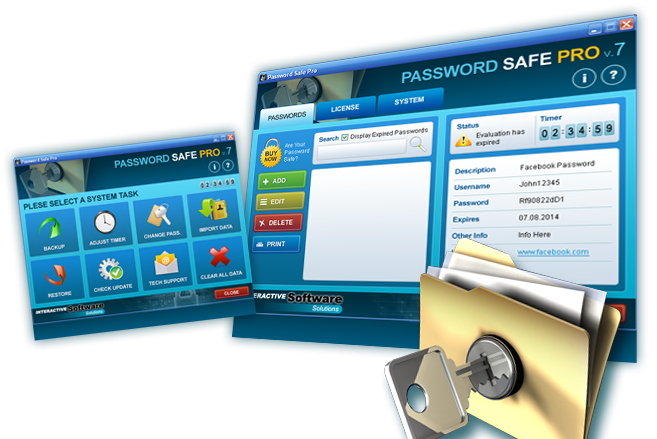 Password Safe Pro is the perfect solution for storing passwords securely and safely!